Do You Have a Writing Plan? Reading the galleys to The Last Daughter. I think if I have to read this story one more time, I’ll tear my hair out. I love my characters and the story, but I’m ready to move on. 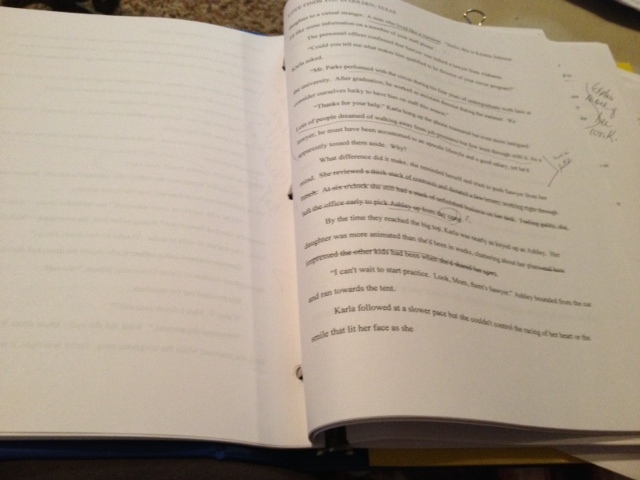 I can’t read through a manuscript (even a published book) without wanting to make changes! I believe I still have one more read-through after these galleys. Arghh! 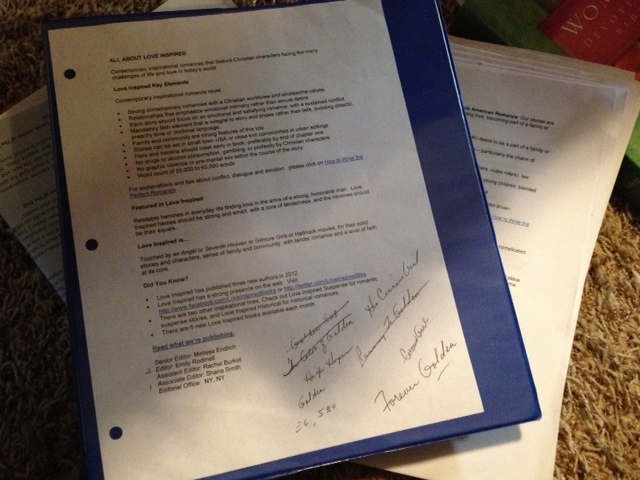 Revising the first fifty pages for my Killer Nashville contest entry. Deadline is June 1st. I may not make it! If you’d like to enter the Claymore contest (you do NOT have to attend the conference to enter) check it out. Every Thursday I have a Beth Moore Bible study on Daniel. 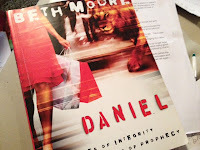 If you’re familiar with Beth Moore, you know there’s daily homework. This is my second time to take the Daniel course. It’s fabulous. Of course, all her studies are. The editor I chose responded to my pitch with “I’ll cry if you don’t send me your manuscript.” She requested the FULL and said the story sounded unique. When we signed up for this event, we had to specify how much of our novel was finished. I said I had a 36,000 word very rough draft completed. Okay, so now that I’ve lived with this rough draft for awhile, and worked on a synopsis, I better know the direction I want to go with the book. Thankfully, I tailored the pitch in the right direction and pinpointed the conflict but I feel panicked about revising it FAST. Common sense tells me to get the manuscript finished and to the editor as soon as possible. I have 36,000 words. I need 55,000 words at the minimum. Each chapter (with the exception of the first two) has to be rewritten–revised, fleshed out, some chapters even have to be completely changed. Here’s a picture of my rough draft with Love Inspired guidelines visible so I can refer to them often. I need some direction: Suggest a workable writing plan and/or some tips that will help me finish this book. My weaknesses are: setting, description, deep editing so any help you can give me in these three areas will be appreciated. If I use any of your suggestions, I’ll dedicate the book to you–if it sells. I’m sloshing through but I’m working at the pace of a sick snail so if you want to share a writing plan, feel free! And give me a deadline too. I love deadlines!